Shadrach Kabango (born 1982), credited as Shad or Shad K, is a Canadian hip hop musician. Born in Kenya, of Rwandan parents, Shad was raised in London, Ontario. His mother worked in London as a hospital lab technician; his father, as a machinist. He attended London Central Secondary School. His debut album When This Is Over (2005) was self-made, financed with the $17,500 he won from 91.5 The Beat's Rhythm of the Future talent competition during his time as an undergraduate student at Wilfrid Laurier University. Born in Kenya, of Rwandan parents, Shad was raised in London, Ontario. His mother worked in London as a hospital lab technician; his father, as a machinist. He attended London Central Secondary School. His debut album When This Is Over (2005) was self-made, financed with the $17,500 he won from 91.5 The Beat's Rhythm of the Future talent competition during his time as an undergraduate student at Wilfrid Laurier University. 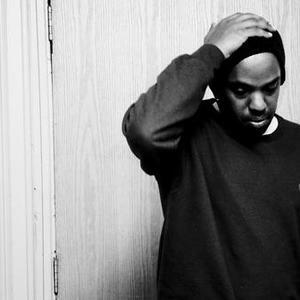 The album is recognized for Shad's self-deprecating lyrics which is often atypical of the current rap scene and focusing on social causes?for example, the track I'll Never Understand examines the Rwandan genocide and includes poetry written by his mother, Bernadette Kabango. In 2007, he was signed by Black Box Recordings and released his second album, The Old Prince. In 2008, The Old Prince received a Juno Award nomination for Rap Recording of the Year, and was nominated for the 2008 Polaris Music Prize. The Album also nominated him for two MMVA Awards and won him a 2009 Indie Award. In May of 2010, Shad released his third album, TSOL, to excellent reviews and a wider reception than any of his work to date. Shad is bilingual, speaking English and French. He holds a business degree from Wilfrid Laurier University. He is studying part-time towards a master's degree in liberal studies at Simon Fraser University.